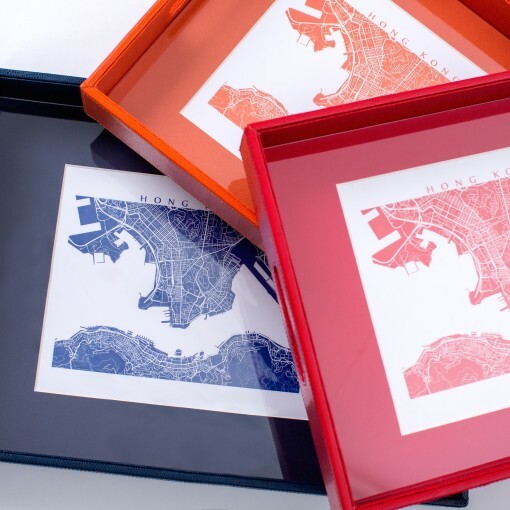 No city on earth looks like Hong Kong. 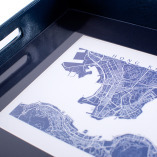 Its unique jumble of towering skyscrapers, crisscross of walkways, and fragrant harbour make it a cartographer’s dream! 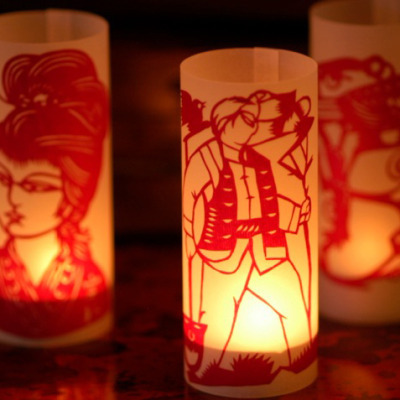 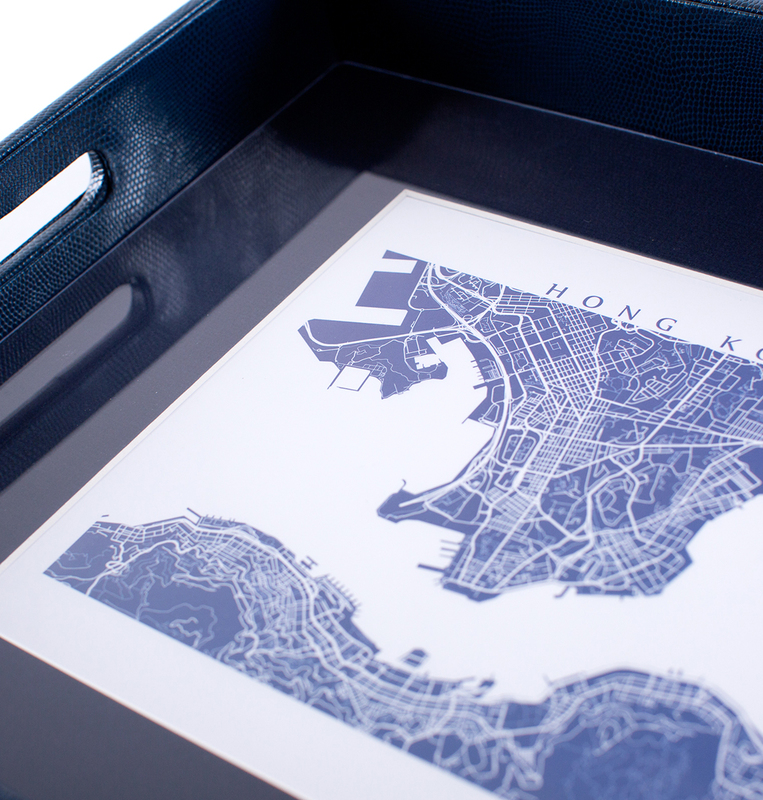 They say the only constant in this super city is change so mark your moment by capturing Hong Kong as it is today. 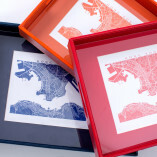 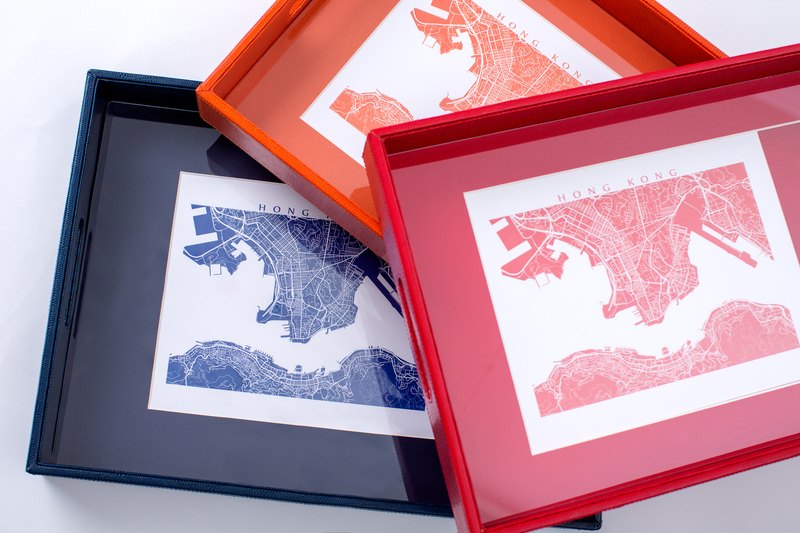 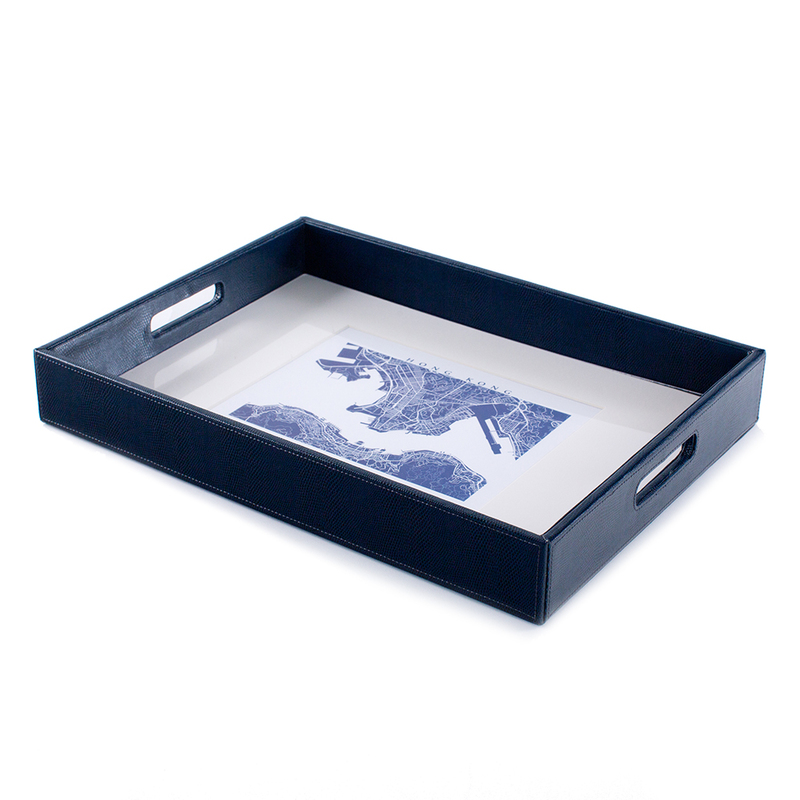 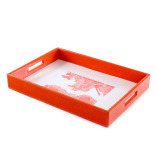 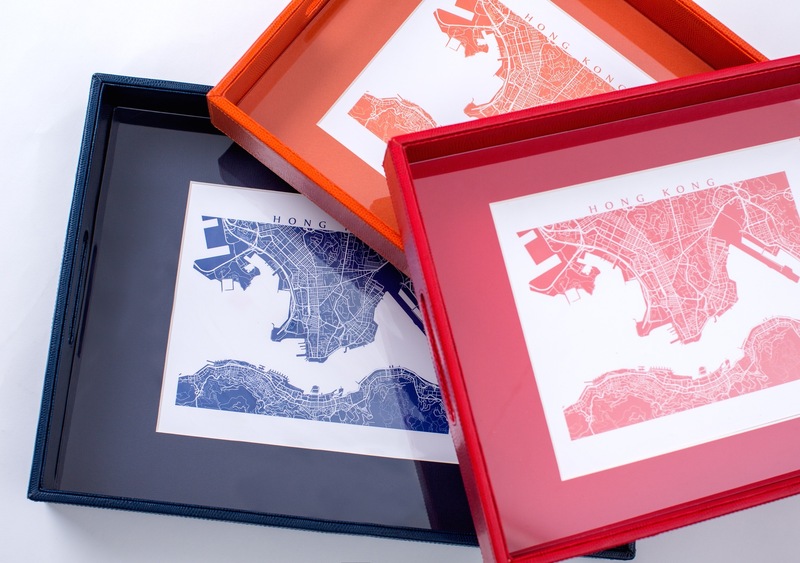 Each tray is made by hand with a solid wood inner and orange faux shagreen cover for quality that lasts, and features an original CartoCreative screen printed map.